Does House of Pain's "Jump around" get your kiddo psyched at any time, day or night? Does that basketball hoop in your driveway get more use than the garage door that it's mounted above? Does your child's weekend wardrobe mostly consist of basketball shorts and jerseys? If any of this is true then you've got yourself a true basketball fanatic. Your child might be a font of information, keeping up on the background and history of every player. They probably know who's most likely to be benched for getting too aggressive and which player tends to be a little bit of a ball hog. Maybe they'd even make a great announcer, with the quick movement of a basketball game we could really use someone that can explain the action in layman's terms. Hmm, if your child could become a professional they could pay you an allowance. Now, that would be sweet! Wait a sec, though. If your kiddo is bringing home basketball dough, they just might come to think that they can dribble the ball in the house. Maybe they'd better start their career once they're out of the house. In the meantime, they're sure to get their head in the game once they become the game! This tunic takes your child's Halloween costume to an interactive level. 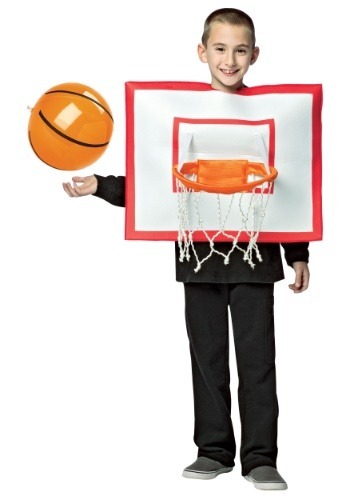 Your child is sure to have a blast with the hoop and red and white backboard. The hoop is ready for the lightweight, inflatable ball to swoop through its net. 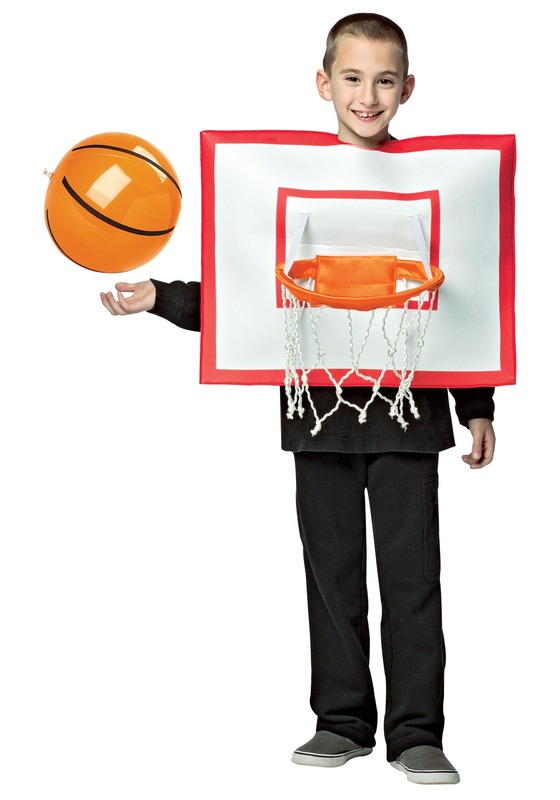 So, if your kiddo is ready to "jump around" they'll love this easy and fun costume. This year, Halloween is sure to be a win!